Over 500 lots from all areas of collecting are soon to be sold under the hammer. We suggest you get in quick. On 27 September, auction house Durán Arte y Subastas is offering up more than 500 lots for auction, including painting, graphic work, books, manuscripts, tribal art, carvings, bronzes, porcelain, ceramics, jewellery, carpets, furniture, and much, much more. 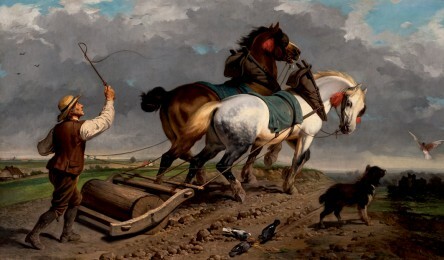 In particular, we’re keeping an eye on all of Durán Arte y Subastas’s oil paintings. 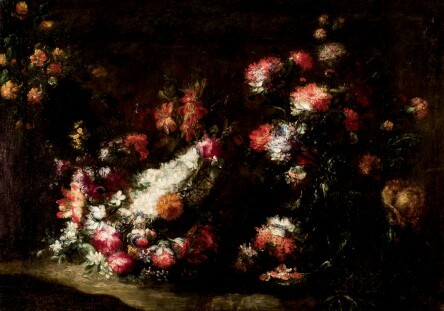 This includes two oils on canvas by Margherita Caffi, from the private collection of a major Spanish antique dealer. Another prominent oil on canvas is Archangel Rafael and Tobias by Francisco Zorrilla (1679-1747), which is displayed in a stunning carved gilt wood frame. As for 19th-century painting, works we’re admiring are Portrait of Ramona Torróntegui (1872) by Dionisio Fierros Alvarez (1827-1894), which has been signed by the artist, and Labour of the Field by the European School. Another 19-century work, Eduardo Chicharro (1873-1949) is the artist responsible for this purple-pink hued piece, Melancholia. 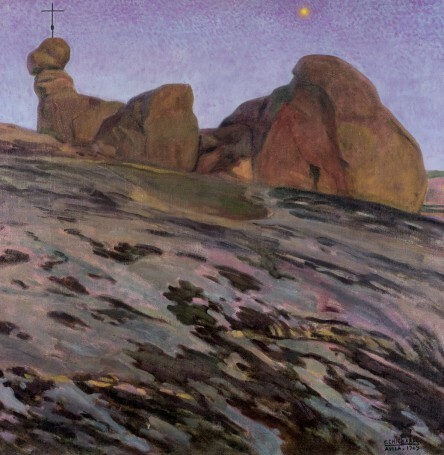 The work is dated 1909 in the lower right corner, and on the back it retains its ‘IV International Art Exhibition in Barcelona’ label from 1911. The same artist created the work News by the Window, an oil on canvas signed in the lower left corner and dated 1942 which is also up for auction. 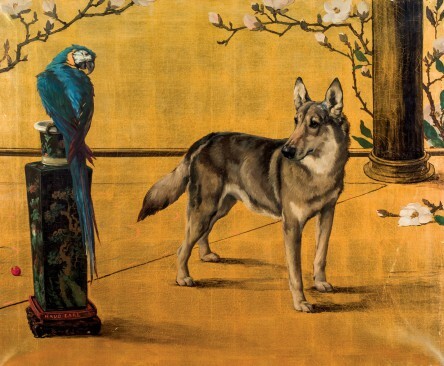 Among 20th century highlights is German Shepherd and Parrot, an oil on canvas signed in the lower left corner by Maud Earl (1864-1943) and dated 1917. Another is Almond by Gerardo Rueda (1926-1996), which is signed in the lower right corner and dated 1960. One final work which we simply can’t glimpse past is the 1960 Pink Factory by Lance Letscher. Made from mixed materials, it is framed in wood and acrylic with UV filter. Moving on from painting, in the jewellery portion of the sale we’re taking note of an antique yellow gold brooch made in the shape of a branch with cultured pearls and diamonds, and an 18K white gold ring with a large cabochon-cut emerald and pavé set diamonds in double. Another is a pair of long 18K white gold earrings with a snap closure. 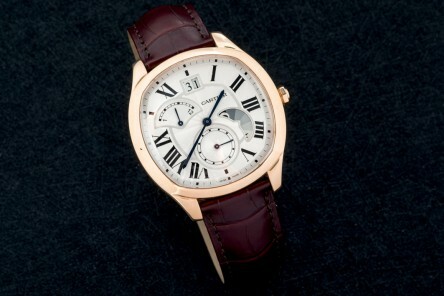 In the watch section we’ve been admiring a wristwatch for men from the brand Cartier in their ‘Drive’ model. It is made in 18K rose gold and accompanied by a case and documentation. 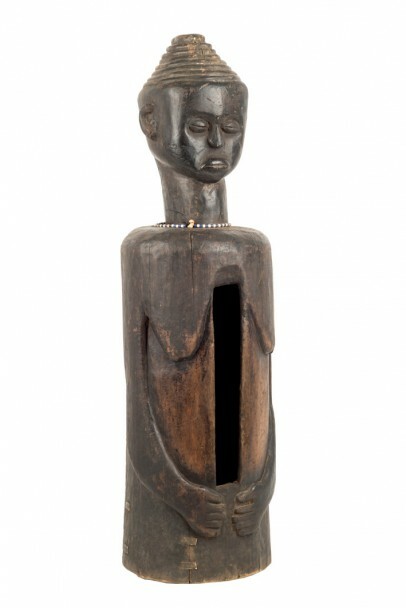 An anthropomorphic slot drum, representing the clan’s Great Mother progenitor, stands out in the tribal art lots of the sale. The beads on the necklace each account for an individual of the tribe. The drum was collected from the chief of the village of Mbaza in the province of Bandundu, and it carries certified authenticity by the authorities of the Ministry of Culture and Arts of the Democratic Republic of the Congo. It is accompanied by a certificate of original, stamped and signed by the authority in charge. 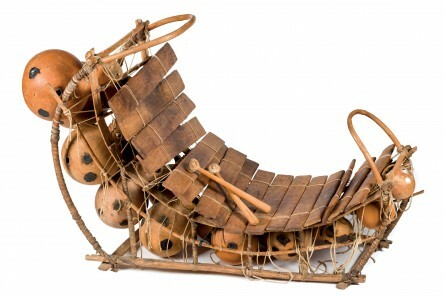 The balafón, also called ncegele, comes from the Mossi culture and includes two drumsticks. It is made of wood, pumpkin skin, vegetable fibres and cotton. The resonant elements of the instrument are squashes of unequal size that are placed under the keys. In the books and manuscripts section, we’re particularly interested in their copy of the renunciation of the privilege granted by King D. Pedro de Aragón and given to Valencia in 1336, which was confirmed by King D. Martín in Valencia in July of 1400. 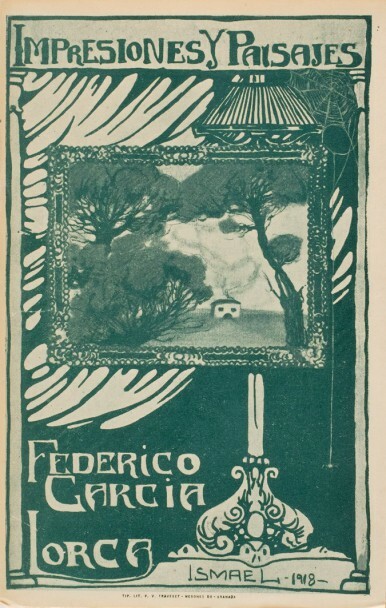 Another is La Vie et Avantures de Lazarille de Tormes - Ecrites par lui meme by George de Backer with 19 engraved steel plates, as well as the first edition of the first book published by Federico García Lorca: Impressions and Landscapes (1918). As for graphic work, we can’t go past Sleeping Faun by Christo (Christo Vladimirov Javacheff), which was created in 2000 as part of the ‘Wrapped Statues’ project for the Glyptothek of Munich. Another is Logo II by Pablo Palazuelo (1916-2007), a lithograph, signed and numbered (37/75) in the lower right corner paper. The auction house’s ‘4 Persian Engravings’ represents the first large format prints of the Apadana by Dutch painter and traveller Darius the Great in Persepolis. The engravings belong to the larger body of work Voyages by Corneille Le Brun for the Moscovie, in Perse, et aux Indes orientales. In 1677, the artist made a trip to the Near East, visiting Turkey, several Greek Islands, Egypt, Palestine, Syria and Cyprus. In 1701 he made his second trip from the Netherlands, this time to Russia and continuing his journey to Persia and the Dutch Indies. The panoramic view of the copper city of Shiraz (Iran), Zji-Raes, from the beginning of the 18th century, is also by Cornelius le Brun. Moving on to decorative arts, there is a fine table clock in Napoleon III style, made of plaster-coated black marble. 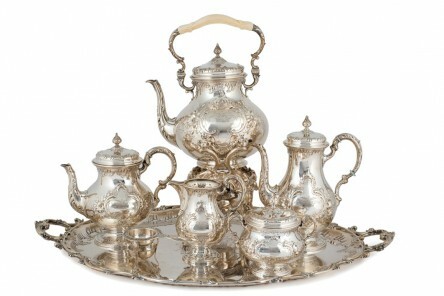 Additionally, we can’t help but admire this tea and coffee set made in punched Spanish silver. It comprises a bouilloire, teapot, coffee maker, milk jug, sugar bowl and strainer, along with a tray with handles. 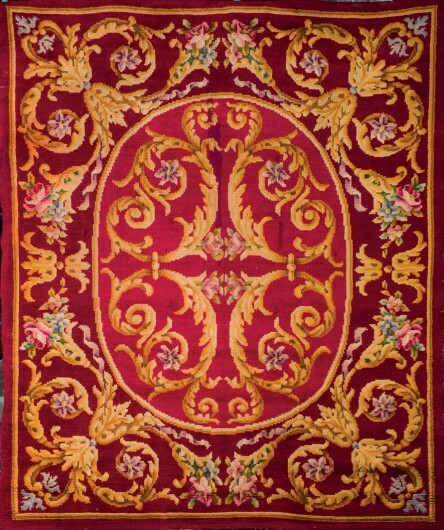 Finally, in the furniture section we’ve got our eye on this Spanish wool rug by Miguel Stuyck in a garnet colour with floral decoration. We also can’t help but admire their cradle made of wood, carved to form the shape of a ship, with traces of polychromy in the form late 18th-century garlands. Cots are an extremely rare item to find, and a twin to this piece is now in the collection of Ca’Rezzonico Palace in Venice.